Sal Woods put together an awe inspiring performance Friday night in the main event of Rumble Time Promotions and Sport Fight League's March Mayhem, held at the Ameristar Casino. Woods took on talented newcomer Garrett Gross in a welterweight showdown and came back from the dead to earn a first round victory. Gross and Woods traded knees early on with one from Gross catching Woods below the belt. After a brief stoppage, a visibly tired Woods was met with an onslaught of strikes from Gross. With Woods hanging on for dear life, the Granite City product endured even more punishment from Gross before finally securing a takedown. Once on the ground, the tides turned. 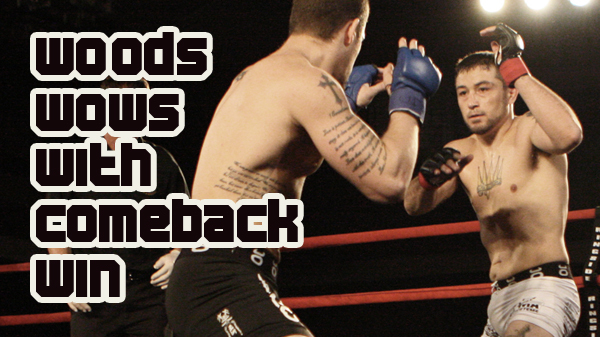 Woods soon took Gross' back and from there secured a rear naked choke for a victory with 3:56 in the first round. For plenty of reactions and quotes from all of the nights winners, check back soon to Knucklekjunkies.com for exclusive videos. On a night that featured four boxing matches and six MMA bouts, only one fight made it past the first round. In the evening's co-main event, light heavyweight Tex Trismegistus was matched against Brandon McCary. In a match that looked on paper to be a slugfest, Trismegistus worked his knees effectively in the clinch. From there, Trismegistus locked in a standing guillotine and earned a first round submission victory. Sullivan's Colby Tierney took on Joshua Stewart from Fiore's MMA in a middleweight bout. Stewart took the fight on just four days notice but it didn't seem to have any effect. Stewart was crisp from the start, mixing up his punches and kicks. A hip toss sent Tierney to the canvas Stewart was able to land some strong punches. 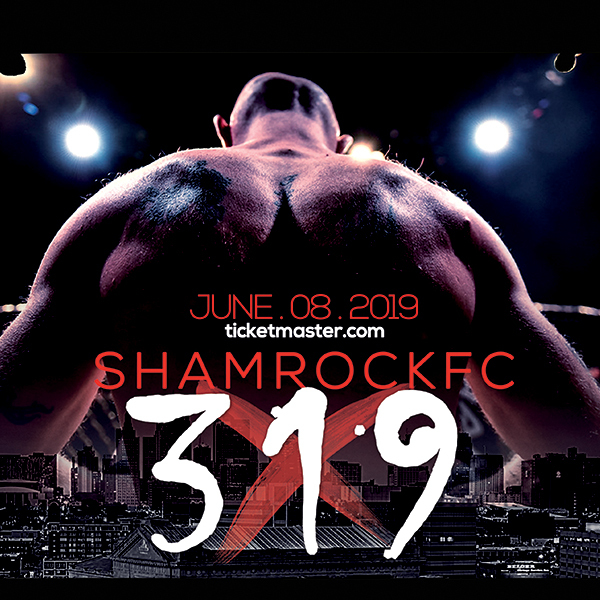 But Tierney, of Berger's MMA weathered the storm, reversing the position and ending the match with an arm bar submission at 4:05 in the first round. Dan O'Conner led off the four pro MMA fights with a submission win over Cody Chamberlain in a flyweight match. The fight quickly went to the ground and O'Conner, who was making his pro debut, fought off a guillotine attempt. After a scramble, O'Conner, of Berger's MMA secured a von flue choke and won at 1:28 in the first. The finals of the Gateway to the Top welterweight and flyweight tournaments were the two amateur MMA bouts on Friday. In the welterweight finals, Hugh Pulley won impressively over Kyle Walker. Walker attempted an early takedown but Pulley sprawled and the quickly secured the mount. A scramble resulted in Pulley latching on to an arm bar and securing the submission. An elated Pulley rushed into the crowd after the win to celebrate with friends and family before returning to take home the large SFL trophy. In the featherweight finals, Travis Draper made quick work of Scott Ettling in electrifying fashion. After an early takedown attempt nearly had both fighters through the ropes, Draper connected with vicious overhand right that flattened Ettling and earned Draper, of St. Charles MMA, the title. In the fourth of four professional boxing matches, Chris Rapa won in devastating fashion, knocking out John Brewer in the first round. Leon Spinks III worked his jab to set up an eventual knockdown Hannibal's Casey Crane that led to a TKO victory. Speedy Stephon Young proved too tough to corral for Kansas City's Nick Fannin. Young, a St. Louis native, made Fannin pay for keeping his hands low, peppering the fellow 124-pounder with plenty of lefts. Young's flurries continued from the first into the second round before a quick left hook from Young sent Fannin to the canvas for good at 2:56 in the second. In the evening's opener, Jacob Chavez out-skilled Hannibal's Robert Pfanner and proved to be too much to handle. A patient Chavez waited for his opening and when it was there, he struck, winning by TKO at 2:04 in the first.